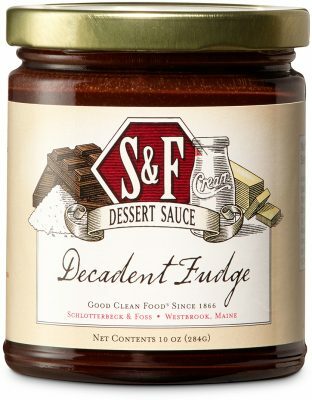 Dark chocolate blended with fresh cream and butter create an exquisite fudge sauce. Pair with your favorite ice cream. Warm sauce to use as a chocolate fondue for fresh strawberries, dried apricots, marshmallows, and pretzel sticks. Make banana and chocolate crepes or use as a topping for waffles and pancakes. Cane Sugar, Cream (milk), Milk, Breakfast Grade Cocoa (processed with alkali), Chocolate Liquor, Butter (salted; milk).